Earlier this year the Queen and I celebrated our 10 year wedding anniversary. So after the hustle and bustle during the majority of 2016, we decided to treat ourselves to an 8 day cruise in a spacious mini-suite aboard the Caribbean Princess. 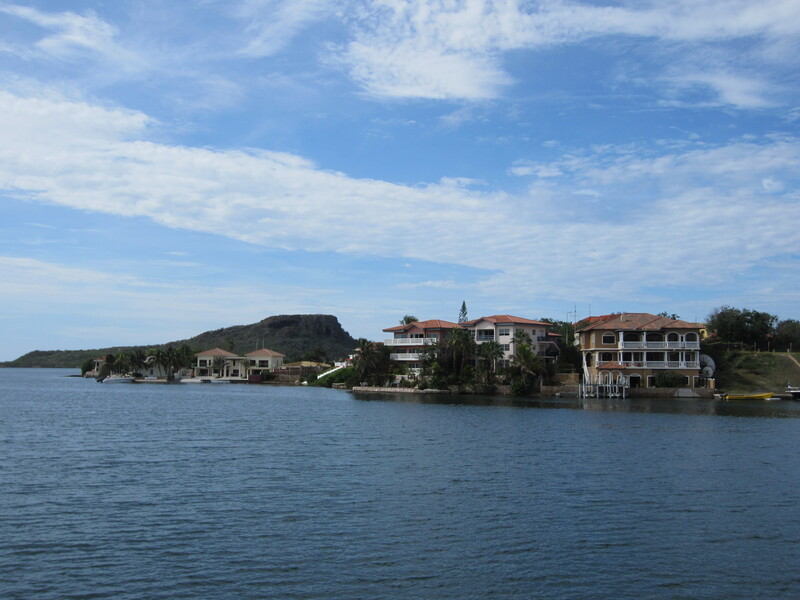 The itinerary took us to the islands of Aruba, Bonaire and Curacao. We had already been to the A of the ABCs (Aruba) before and were looking forward to saying “Bon Bini” to the B and C portion for the first time. They did not disappoint. 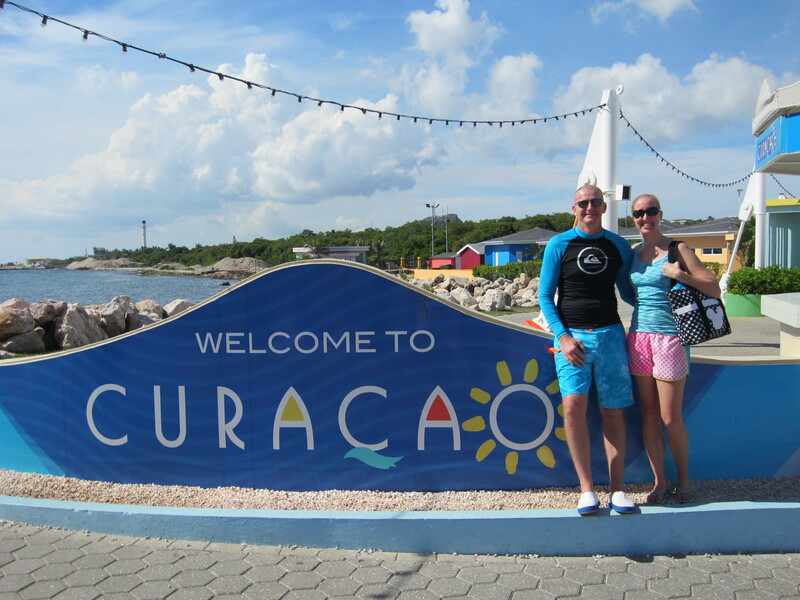 Our first stop took us to Curacao (and you can get all the island details HERE) after two days of sailing. 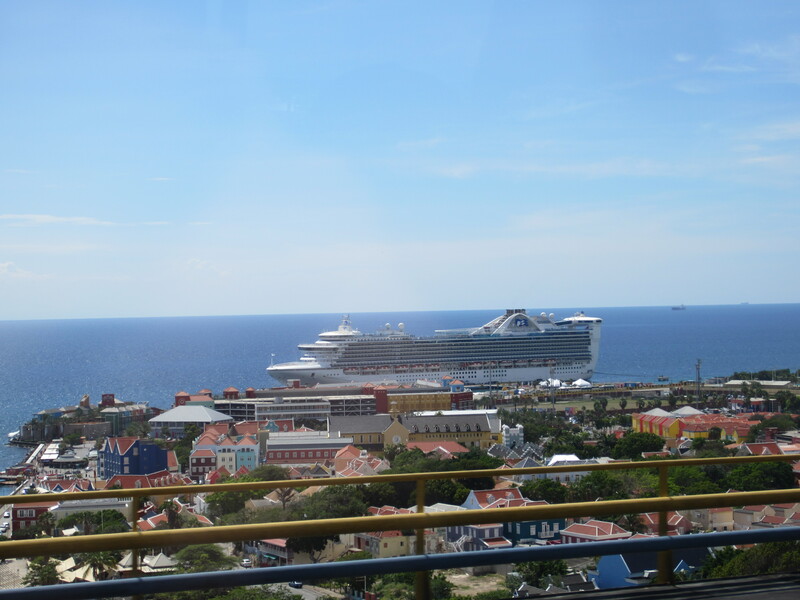 As with all Southern Caribbean islands, it was of course, beautiful. I don’t remember the name of the excursion (snorkeling, of course) we undertook. To be truthful, it was forgettable. 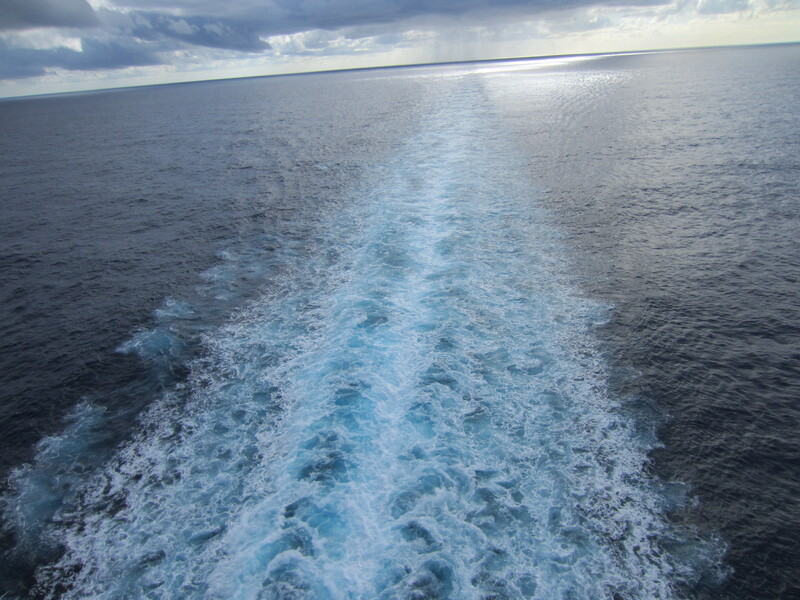 The water was spectacular – a comfy 83 degrees – but the double decker on-boat logistics and aloof crew left us frustrated. 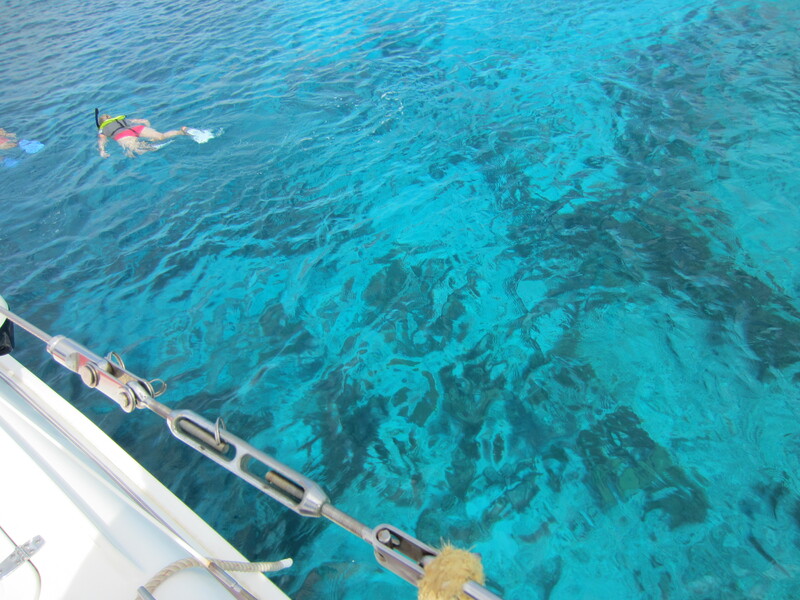 From the time we anchored, we waited nearly 15 minutes to get into the water because the crew wanted to let the ground floor snorkelers out first – about 50 of them. Couple that with another on-site double decker boat with around 70 snorkelers in the water, and it was 30 minutes of being kicked and run into the whole time. So by the time we finally got into the water, it wasn’t pleasant. The city center was better, as well as lunch. 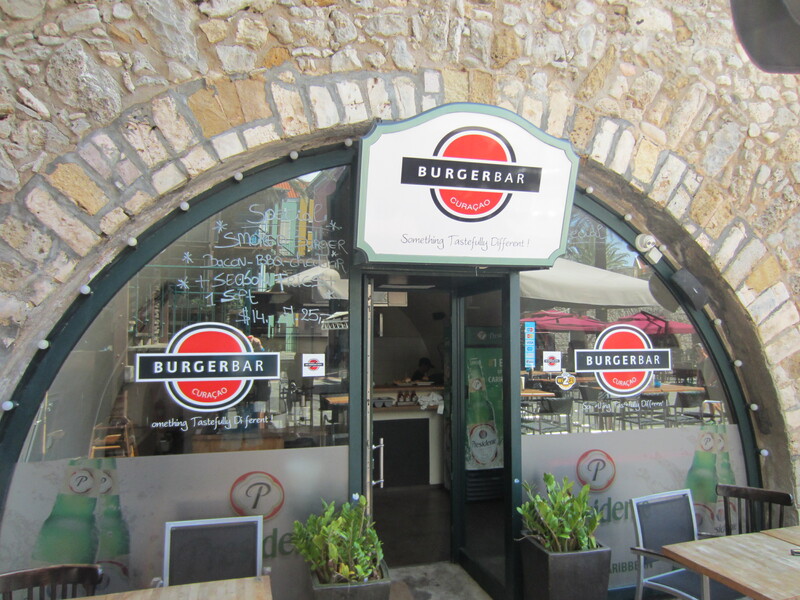 We hit up the Burger Bar and had a couple of stacked burgers. Pretty expensive, but tasty. 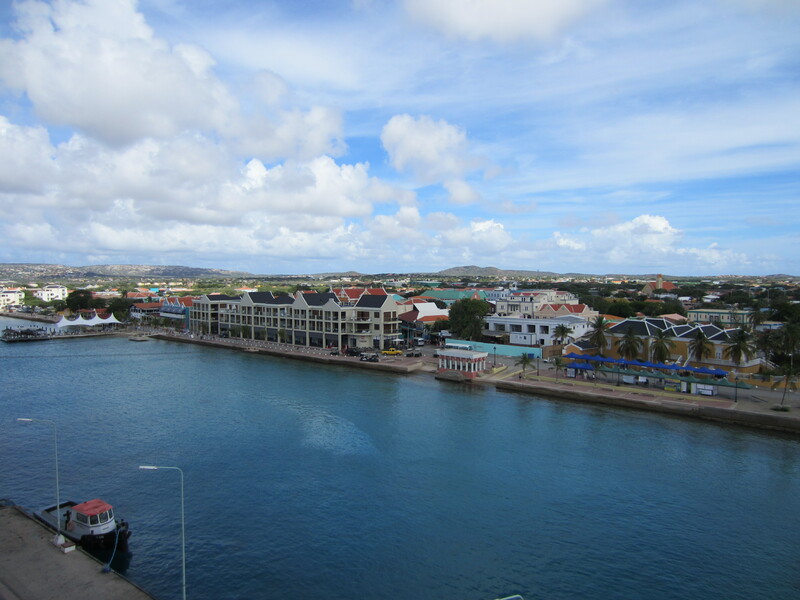 Bonaire….is beautiful. It’s that simple. It has the clearest water we’ve ever seen. 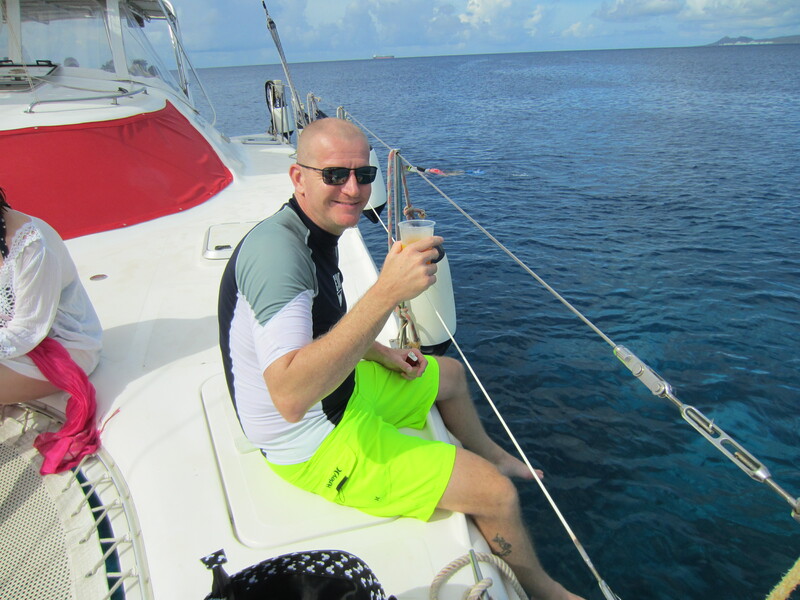 We thought Grand Cayman and Cozumel were the clearest – that is until we got to Bonaire. The water was like swimming in an aquarium. Spectacular. The fish were not afraid of humans and you could swim right up to nearly touch them. We went out on the Mushi Mushi and the folks there were beyond charming. Very informative, friendly and kind. Their rum punch was pretty good too. Strong. So they get another thumbs up for that one. Once we got back to shore, there was a delicious wafting in the air. Smelled really good. Picture a cartoon Shell King smelling food and floating in mid-air towards it. That was me. 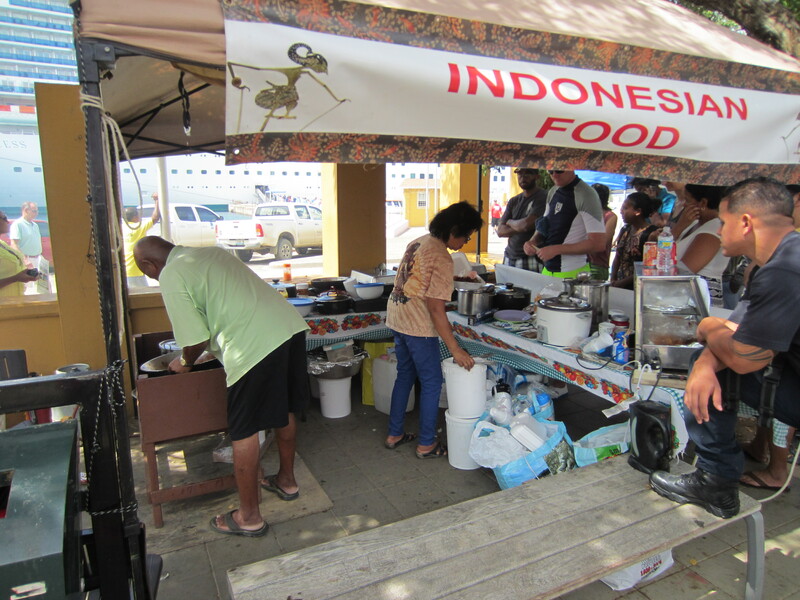 I floated towards a little Indonesian food booth where Mama-san was cookin’ up some real island goodies. 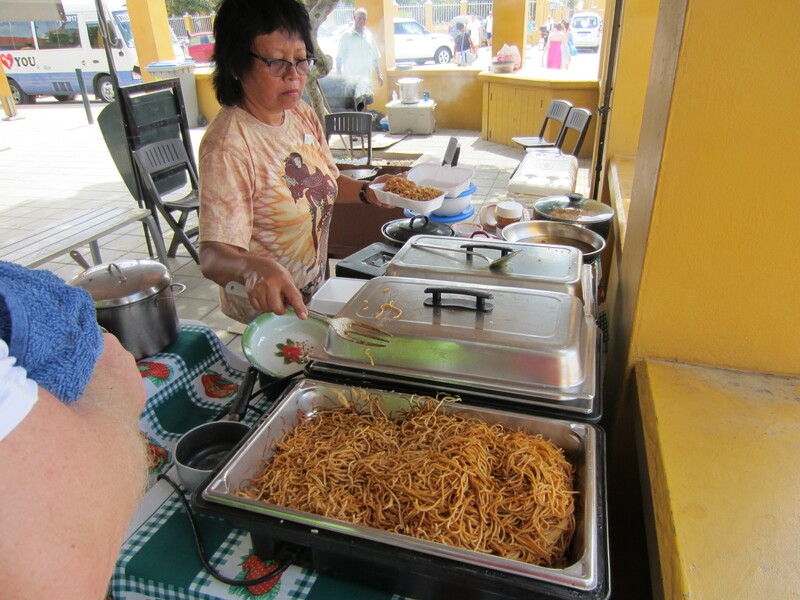 We knew it was gonna be good because we were told that the island locals swarm her booth when she opens. Good lord. It was amazing. 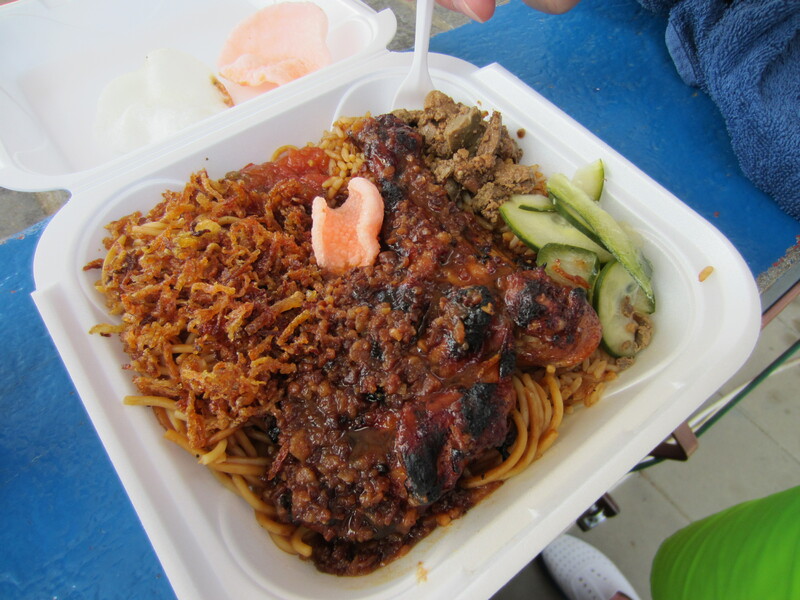 Yet another reason why we’d like to go back to Bonaire tomorrow and set up a Shell King satellite office. 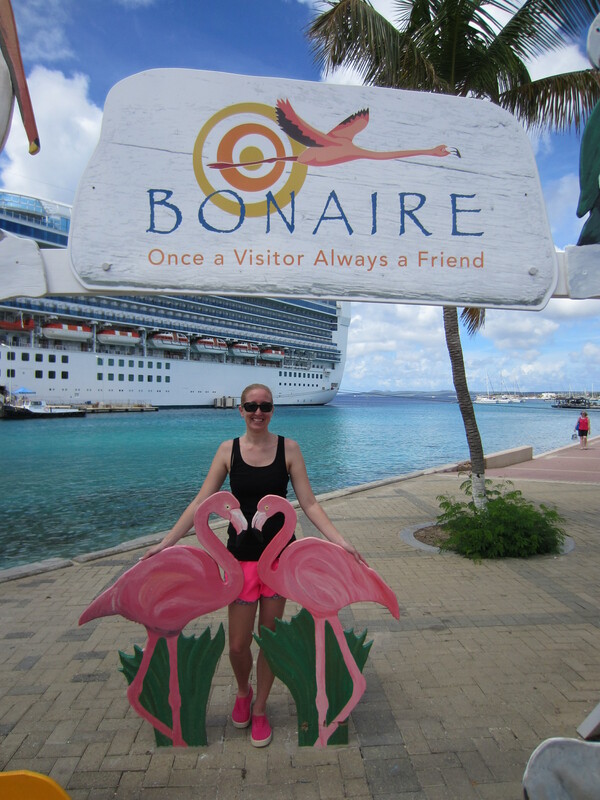 All kidding aside – Bonaire is now my favorite place in the Caribbean. 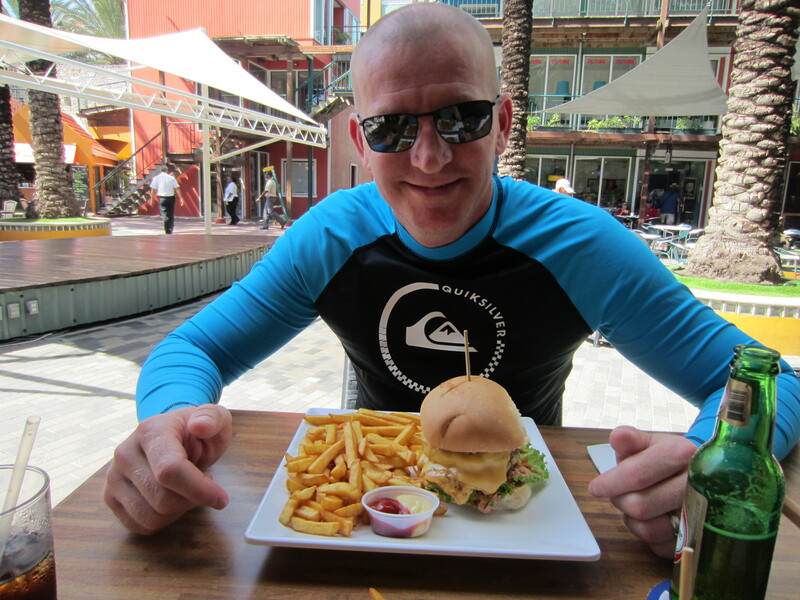 Our last stop took us to Aruba, where in the morning, we traipsed around the city doing a little shopping. 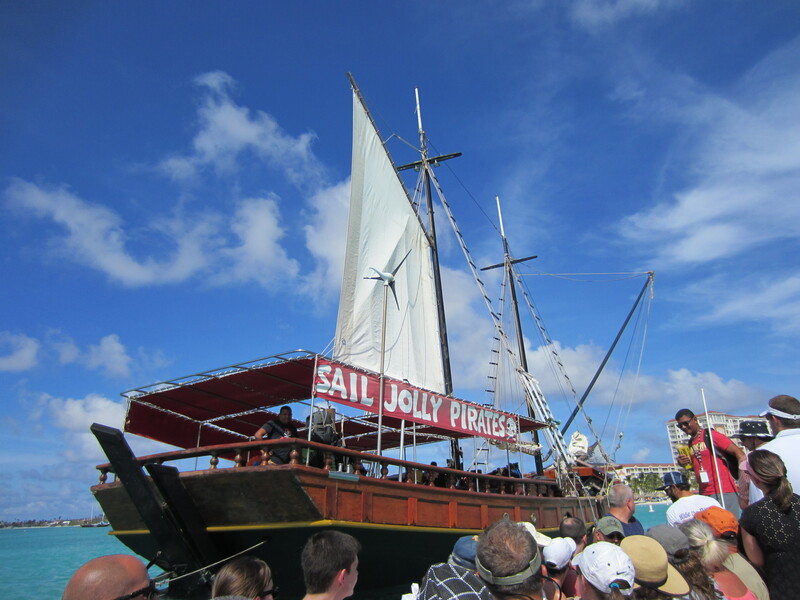 Later that afternoon, we snorkeled and boated with the world famous Jolly Pirates. Those guys and their ship were flat out awesome. 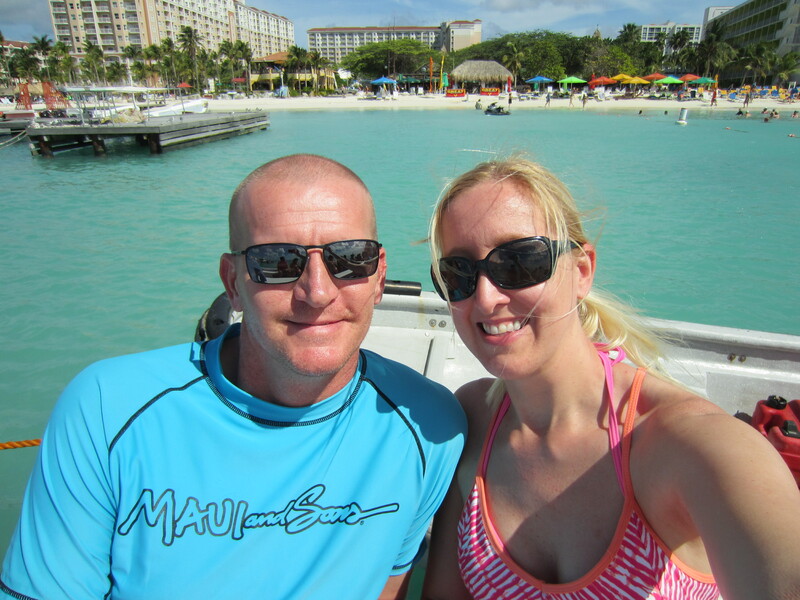 We spent three and a half hours snorkeling, swimming and drinking rum punch. What a ball. The Jolly Pirates are also known for their rope swing. 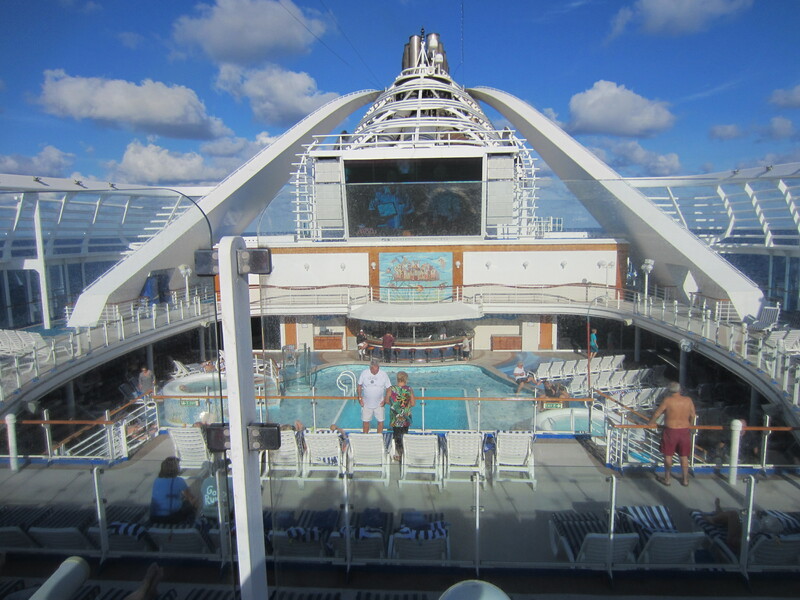 You stand on the platform (to the top right of the Queen in the pic above), swing out and let go into the water. You know I couldn’t resist. We had a ton of fun in all three of the ABCs. Eight days was simply not enough. Not enough good food. Not enough good rest. Not enough good times. ….So we’re going to need to do all of this again real soon. Happy 10th Anniversary to My Queen.